Lots of people in Hollywood meet their romantic partners on the job. When you spend hours a day working with someone on a TV series, film, or even a music album, some off-set or out of studio chemistry is bound to happen. While finding a little romance on the job is nice, it can also get super awkward when the relationship fails and the two parties still have to work together. The following celebs hit it off, broke it off, and somehow managed to put their differences aside to get their paychecks. One couple coming up broke up in real life only for their characters to get married on TV soon after. Charlize Theron and Sean Penn started dating in 2013 and reportedly got engaged the following year. The couple ended their relationship in 2015. Just a year later, they promoted the film The Last Face together, which Penn directed and Theron starred in. The media widely reported that Theron dumped Penn by “ghosting” him. 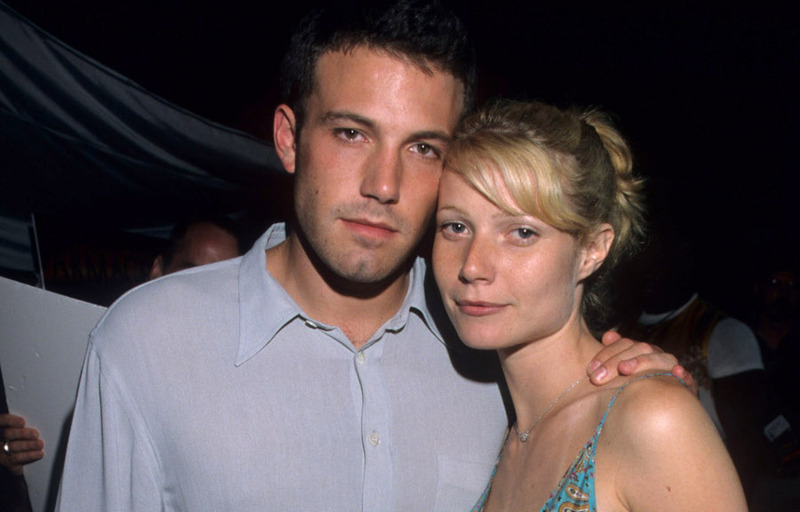 It’s been so long you may have forgotten that Gwyneth Paltrow dated Ben Affleck after they worked together on the 1997 film Shakespeare in Love. They dated for three years before splitting up in 1999. Then they worked together on the 2000 film Bounce. They rekindled their relationship and then split up again. Jennifer Morrison and Jesse Spencer met on the set of the medical drama House in 2004. The pair got engaged in 2006 when Spencer proposed in Paris, but they broke it off. Interestingly, their characters were also involved with each other and got married in season five. In 2008, Morrison talked about how the pair got through the kissing scenes on House after they broke up in real life. She revealed in an interview that they avoided actually kissing each other during rehearsals. “Out of respect, I saved it for the take,” she said of the scenes. Like many actors, Drew Barrymore and Justin Long met on set. The pair kindled their romance in 2007 while making He’s Just Not That Into You. The couple dated for about a year before splitting up in 2008. Two years later, they worked together again in the movie Going The Distance. The twosome has maintained a friendly relationship over the years. As recently as 2018 they were spotted together at the Lowell Hotel in New York City. Both were single at the time. Barrymore’s four-year marriage to Will Kopelman was over, and Long was no longer dating singer Lauren Mayberry. Who knows, maybe they’ll give it another go! Up next: Their romance failed and then they both got cast on the same show 10 years later. 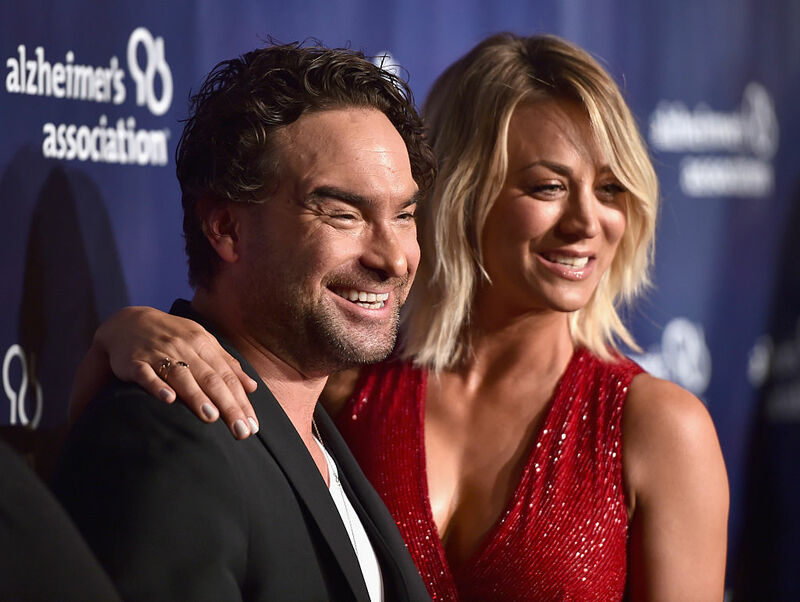 Kaley Cuoco and Johnny Galecki dated for two years while working together on The Big Bang Theory. Their characters were simultaneously dating. The real-life couple split in 2009, yet they continue to work together a decade later. The duo are good friends and colleagues even today. 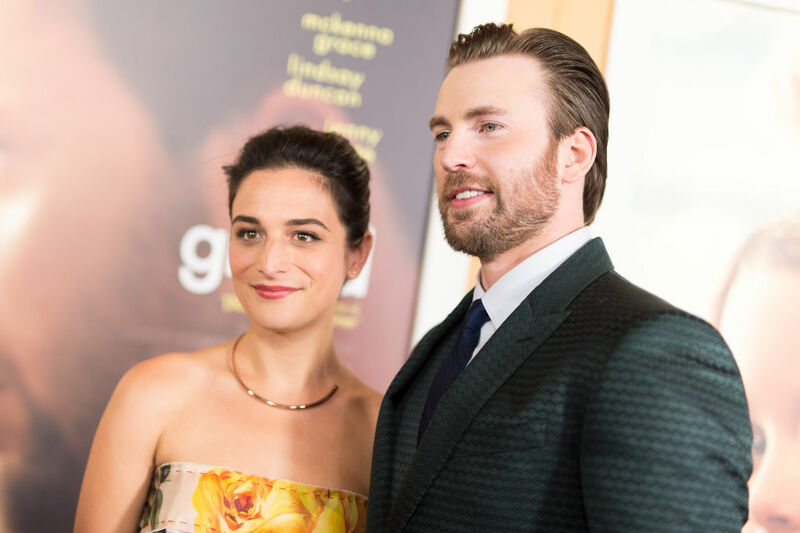 Actor Chris Evans started dating actress-comedian Jenny Slate after the pair met on the set of Gifted in 2016. Around the same time, Slate split with her filmmaker husband, Dean Fleischer-Camp. The couple had a short-lived relationship and were no longer together by the time they promoted the film as friends. 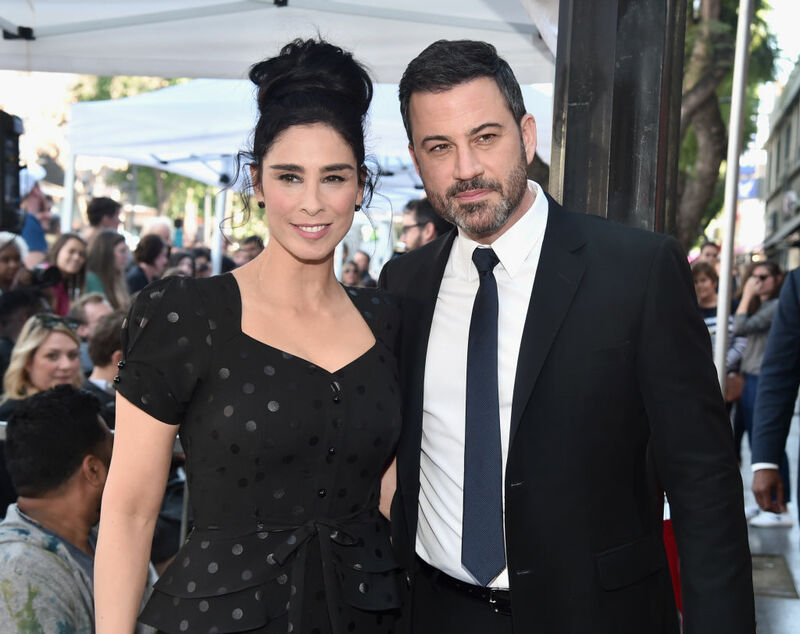 Sarah Silverman began dating Jimmy Kimmel in 2002. They split in summer 2008 but got back together that fall. They split for good in March 2009. Silverman continued to appear on Kimmel’s late-night show. In 2019, Silverman posed alongside Kimmel and his wife at the Golden Globe Awards. Silverman was pictured in the foreground looking pained, while Kimmel and Molly McNearney were hugging behind her. Silverman captioned the image, “Good times.” A few months earlier, SIlverman was a guest on Kimmel’s show and joked about waiting for Kimmel’s “tryst” to be over with his wife, with whom he shares two kids. If this next couple stopped working together after they broke up, they would never have made one of the most iconic songs of the ’90s. 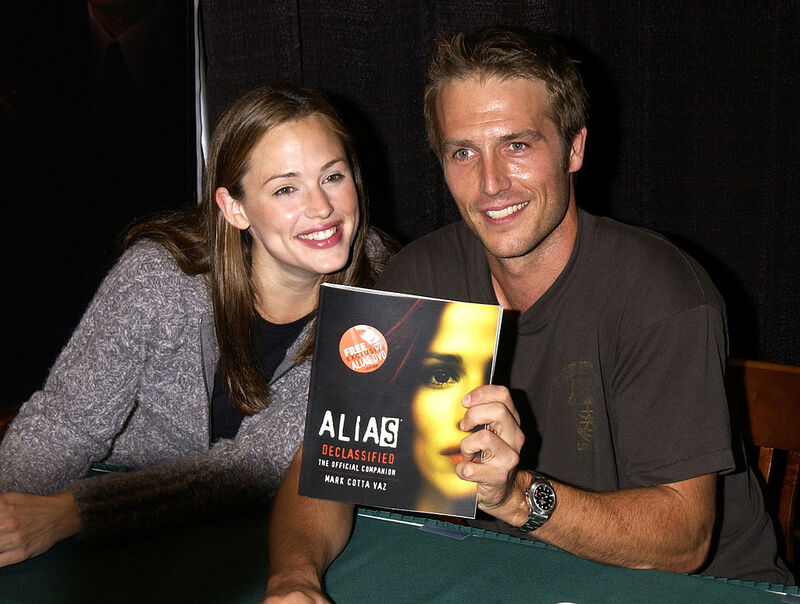 Jennifer Garner and Michael Vartan were costars on the action drama Alias. Their romance waned after about a year in 2004, but the pair still had to work together until the show ended in 2006. Despite what could have been an awkward situation, the pair remained friends. Katie Holmes and Joshua Jackson fell in love on the set of Dawson’s Creek in the ’90s. They were together for the first two seasons, and Jackson was reportedly Holmes’ first true love. They split up but remained costars until the program ended after season six in 2009. The pair remained friendly over the years. In 2012, Holmes reached out to Jackson out of the blue. “Like any old friend, it was like, ‘Oh, hi how are ya? What’s going on?’; ‘I had a kid,'” Jackson told Us Weekly about the unexpected phone call. 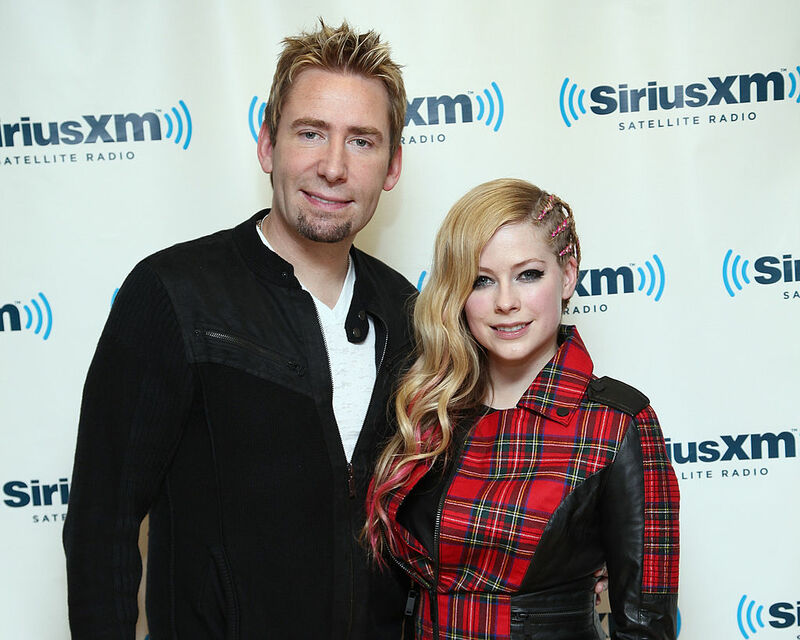 Avil Lavigne started dating Nickleback singer Chad Kroeger in 2012 while they were working together on her fifth album. They got engaged within a month and tied the knot in 2013. They split up two years later in 2015. The former couple continue to make music together after their divorce. 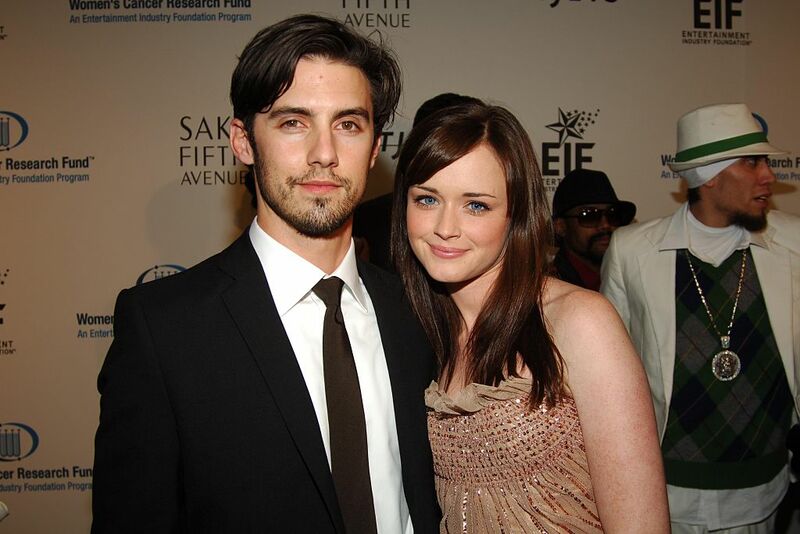 Alexis Bledel and Milo Ventimiglia played love interests on Gilmore Girls and started dating in real life in 2002. They split up after three and a half years together in 2006. While Milo was no longer a regular star on the show, he appeared as a guest in several episodes after they broke up. They also both returned for the 2016 Gilmore Girls reboot. While they didn’t work out, they were pretty serious and even discussed marriage. “I think everybody who has been dating for more than a couple of years probably talks about it at some point,” Alexis told People in 2005. This famous couple starred in the hit series ‘The Office’ and worked together after they split. Mindy Kaling and B.J. Novak met while working on The Office together. The pair had an on-again-off-again relationship while writing and acting on the sitcom. Their characters, Ryan Howard and Kelly Kapoor, also dated on and off. The pair remained friends over the years. 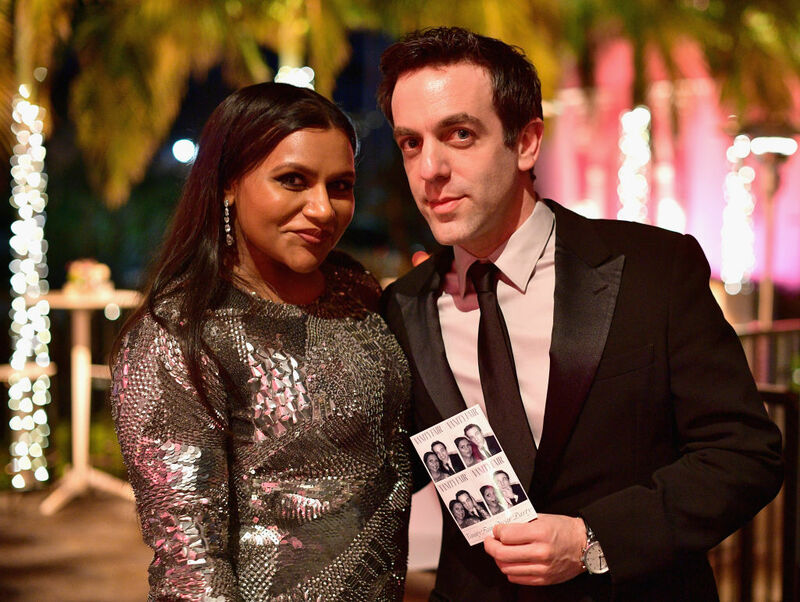 They went to the Vanity Fair Oscar party together in 2018, and Novak appeared in her show The Mindy Project. Kristen Stewart and Robert Pattinson played lovers in the Twilight franchise. They split up in 2012 after the actress was photographed cheating on him with director Rupert Sanders. Stewart and Pattinson still had to promote The Twilight Saga: Breaking Dawn Part 2 after they broke up. When Pattison was asked by a reporter in 2018 who his favorite “boss-lady damsel that you’ve ever had the pleasure of working with” was, Stewart was not on his list. 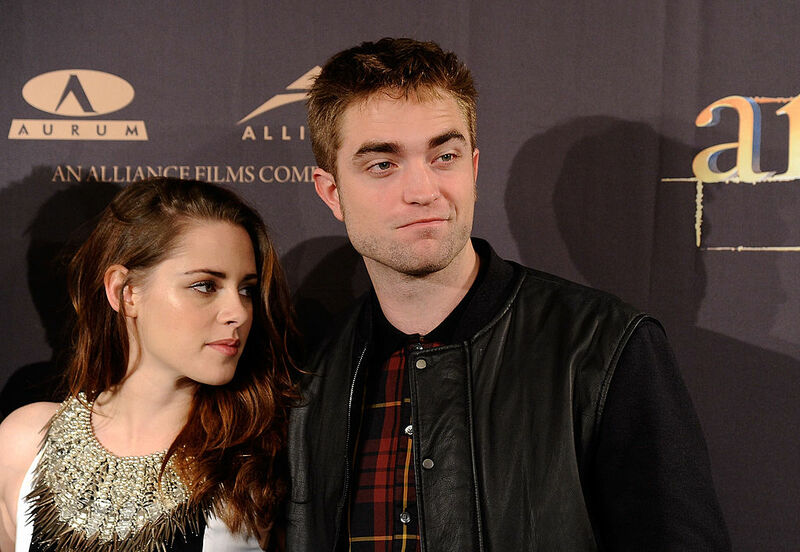 He named several women before the reporter mentioned Stewart and Pattinson said awkwardly, “Kristen Stewart as well, yeah, yeah yeah,” before quickly adding, “Catherine Hardwicke, too. She’s great.” Ouch! Sophia Bush and Chad Michael Murray met while filming One Tree Hill. They wed in 2005 but separated just a few months into their marriage. Despite what must have been extremely awkward, the pair worked together on the program for another seven years. Bush later went on to date OTH costar James Lafferty from 2008 to 2009. Blake Lively and Penn Badgley played love interests Serena and Dan on Gossip Girl, and they also dated in real life. After they broke up, they had to continue their romantic storyline on the popular show but decided to keep their split a secret. “They kept the breakup hidden from the crew, which you could never do now,” co-producer and writer Joshua Safran told Vanity Fair in 2017. 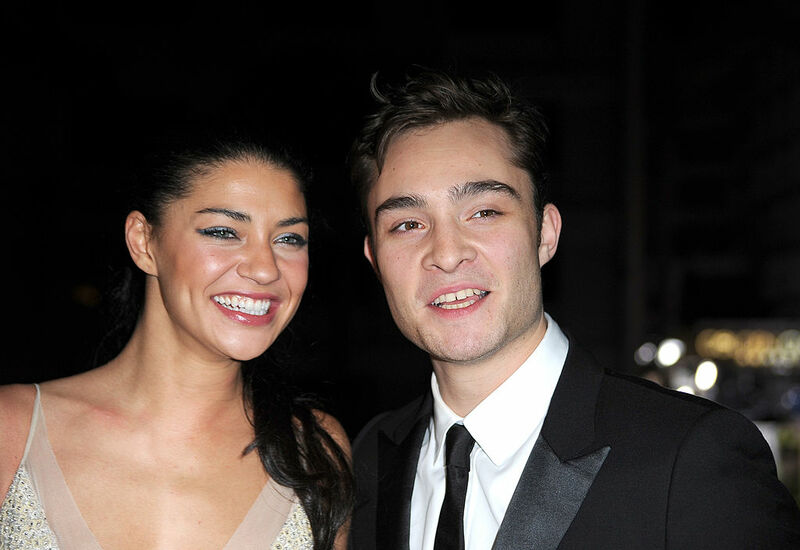 Gossip Girl costars Ed Westwick and Jessica Szohr started dating while filming the third season of the show in in 2008. They stayed together for a couple of years and split in 2010. They still worked together for a couple of years before the program ended in 2012. In 2017, Szohr spoke out when Westwick was accused of attacking several women. Adam Brody and Rachel Bilson Put Their Differences Aside to Finish Filming The O.C. Rachel Bilson and Adam Brody starred together on The O.C. and dated for three years. They broke up in 2006; however, they continued to work together after the show ended one year later. Brody later married Leighton Meester and during a Reddit AMA in 2014 he talked about kissing Bilson. “One of the all time greats!” the actor said of his ex-girlfriend, proving that there was no hard feelings between the two of them. He also joked he was in “constant psychic communication” with all of his former O.C. cast mates. Bilson went on to date Hayden Christensen. 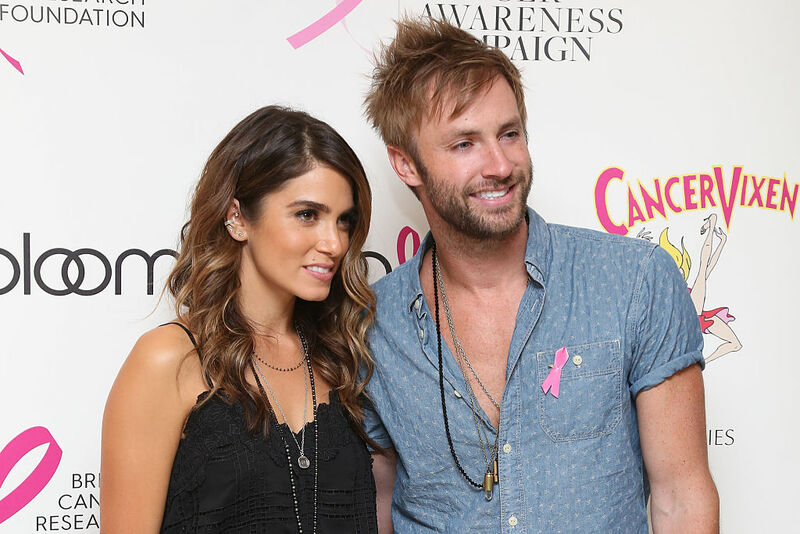 Actress Nikki Reed met singer and American Idol contestant Paul McDonald in 2011. They got engaged and wed later that year. They split in 2014 and finalized their divorce the following year. Despite their break up, they finished working on an album together, I’m Not Falling, which they started before they tied the knot. Reed later married actor Ian Somerhalder, and they had a daughter in 2017. That same year, McDonald started dating actress-singer Emily Kinney. The couple started their own band called The Sweetheart Deal. 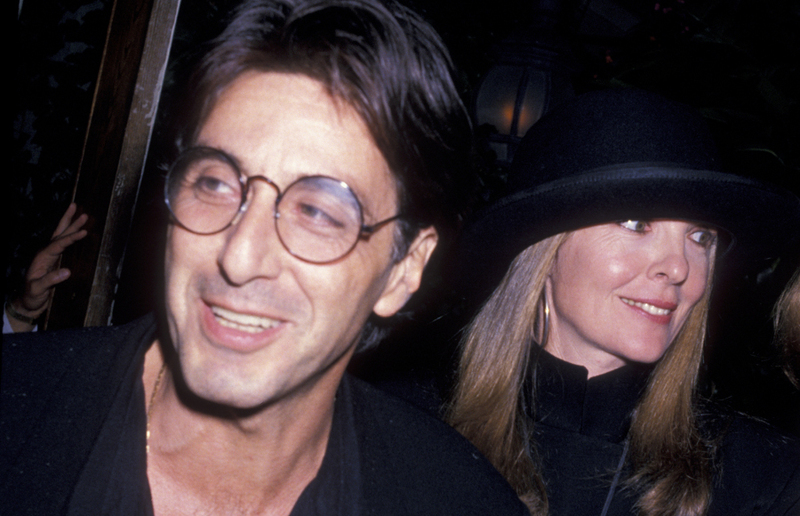 Diane Keaton and Al Pacino had an on-again-off-again relationship with each other while filming The Godfather trilogy. They dated for 20 years. Keaton told People magazine in 2017 that she was head over heels in love with Pacino once they started dating. “I was mad for him. Charming, hilarious, a nonstop talker. There was an aspect of him that was like a lost orphan, like this kind of crazy idiot savant. And oh, gorgeous!” she said. Then she gave him an ultimatum when he didn’t want to get married. “I worked hard on that one. I went about it in not a perfect way,” Keaton admitted.